Hey guys and gals. This is a brand new post about Image Comics, as you can see (unless you’re blind and someone is reading this to you). Thank you a lot for joining and it’s time to get into this blog post. Marvel and DC are the kings of the comic book industry! They are slowly taking over our movie theatre and TV screens if heck they didn’t do it yet. You could say that those companies are starting to ‘take over’ our world. But what about the underdog here? Image Comics? Always in the third place right behind its competitors? Well, what if I told you they could be the ones to ‘take over’ the world just like Marvel and DC are doing right now! Let’s get into reasons as to why this might happen! It is no shame that the cinema screens are filled with superheroes every year, which some people consider them to be ‘oversaturating’ our movie industry. Let’s see! In 2014 we had 4 super hero movies while in 2015 we had 3 and some people say that Hollywood is drowning us with all of them. Now in 2016 studios will release 7, that’s right I said 7 superhero movies! That is just a tip of the iceberg, because in 2017 we know that there is another 7 films coming and some studios still didn’t announce all of their possible superhero film slates! So if 3 or 4 hero films a year is too much for some humans, won’t 7-9 will be too much? Although the numbers of those movies at the box office are still looking high a lot can change in 5 years! These films used to feel like events and now with so many of them they will feel less special. People want to see the next new big thing and these movies won’t feel as ‘special’. Now where does Image Comics come into this? Well, we see that a lot of comic book movies have been over preforming at the box office. Tell me who would have thought that Kingsman: Secret Service would make over $400 million at the box office? This isn’t Image comics, but it is a small comic book company even smaller than Image and this is today. This could be a beginning, so who knows how the non-superhero comic book movies will do in the future? Now when people will get sick of the superhero genre they will turn to something that is familiar, but still different. Image Comics owns the rights to some of the best acclaimed stories out there like: Saga, Wytches, etc. Numbers show that movies are one of the most popular form of entertainment and that they boost up the sales of comic books. Marvel wouldn’t be such a household name if it weren’t for those movies! Since superhero movie popularity will go down less Marvel and DC movies on screen equal their sales probably going down. And when Image films make success, the numbers for the comics will be beating up DC Comics and Marvel Comics! Image’s Graphic Novels/Trade paperbacks are at the top of the list anyway. I know Image’s share far behind the big 2, but again popularity could change those numbers. 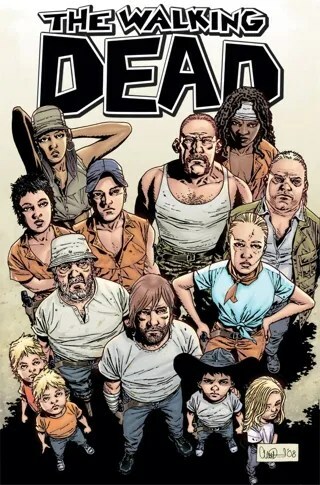 Look at Walking Dead! I know people turned to the books just because they were introduced to that universe by the show. Image is already doing great with shows so that could mean they will just get better, movies will get better and their comics will also get bigger sales! Also guess what? I can already see people who read superhero comics also start to read more independent comics, because writers like Scott Snyder or in the future Jonathan Hickman will start writing for Image Comics. What if People Will Not Get Sick of Superhero Films? Now that all might go the opposite way and who knows, what if superhero movies will become even more popular? Well Image has shown signs of superhero-like characters themselves that would be awesome to see on the screen like: Spawn, Invincible, Ant, etc. 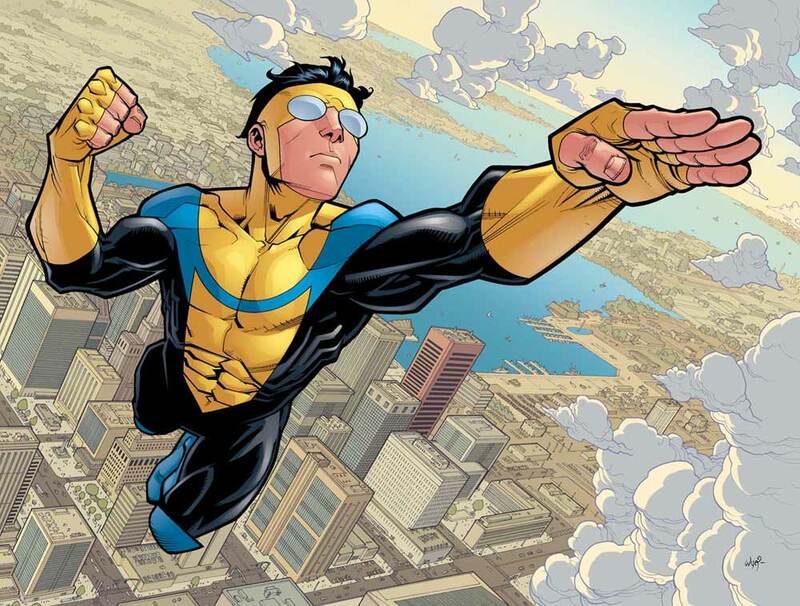 They could be amazingly done especially that a film like Invincible could be easily adapted! So either way Image Comics will come on top and there is no way DC nor Marvel can compete with them. Their future will still have its main audience like they always did, but not as successful and who knows? What if that other one day Image will stop being popular and someone else will have a chance to take over? My bet is on Dark Horse Comics! But that topic will have to be done in the future. Keep in mind that all this has to succeed if Image’s movies are good quality so it will be a difficult task. Hope you enjoyed my little rambling on and that you enjoyed this! This might of been the silliest thing I have ever wrote so thanks for reading and have an awesome day. Like, share, comment and do other stuff that I won’t ask you to do right now. Oh! And stick to Comic Booger for more awesome stuff. See ya! Previous Thank you for 1’000 Views and UPDATE!